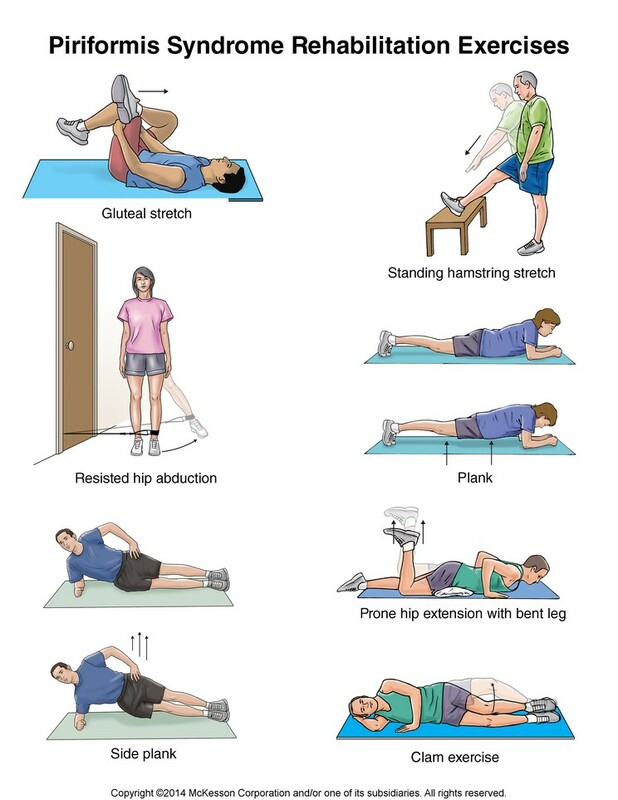 The piriformis muscle may not receive the same attention during workouts as glutes, abs, and biceps; but is one of the most important muscles for those with low back pain, including sciatica. Its name means “pear shaped,” the piriformis is a band of muscle in the lower back, and the sciatic nerve runs all the way from the spine down through the legs and in some people runs through the piriformis. The piriformis has an important role in posture alignment. When it is tight or short, the piriformis can compress or irritate the sciatic nerve, which can cause sciatica. Sciatica can cause burning pain in the lower back, tingling or numbness sensations in the legs, and in some cases result in foot pain. Herniated discs, injury or trauma, or piriformis syndrome can be causes of sciatica. The piriformis can cause pain itself if the muscle is overly tense. As with any issues caused by muscle tightness, stretching and massaging the piriformis are the best ways to relieve pain. A great stretch to help loosen the piriformis is to cross stretch. One simple stretch is to sit in a chair and bring your left foot up and rest that ankle on your right knee, then gently pull that ankle (keeping the knee and ankle in line) up towards your chest. There are variations of the stretch that can be done lying down or standing up as well. In yoga this would be called pigeon pose. Try progressing with this stretch, gently stretching further each time, and working up to hold the stretch for 30 seconds. Massage can be another effective technique in self-care of the piriformis. If performing a self-massage a tennis ball is a great tool to use. Place the tennis ball between your lower back and a wall, and slowly move (left to right) while putting pressure on the ball, going out towards the hip. Where you find tender areas, hold them on the ball and gently put more pressure on them to massage the muscles. You can do the same process on your glutes and feet as well. Sitting in a chair roll a tennis ball under your foot, gently adding more pressure where your foot feels tight.